This coat will capture her heart! 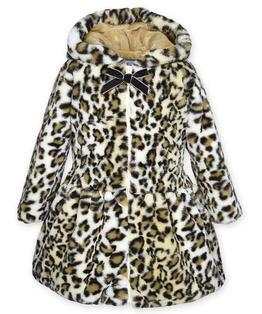 Zip front hooded faux-fur jacket has a high low hand cut and stitched hem for added twirl factor. 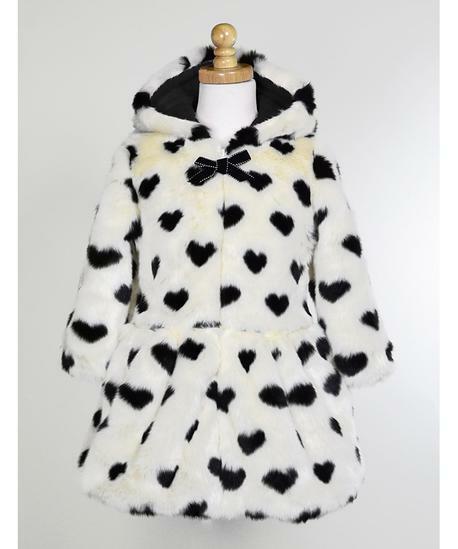 Fun black hearts on a white background are added fun to this twirly coat. Accented with a sweet bow at the neckline. 100% Polyester. Fully lined. Machine washable.